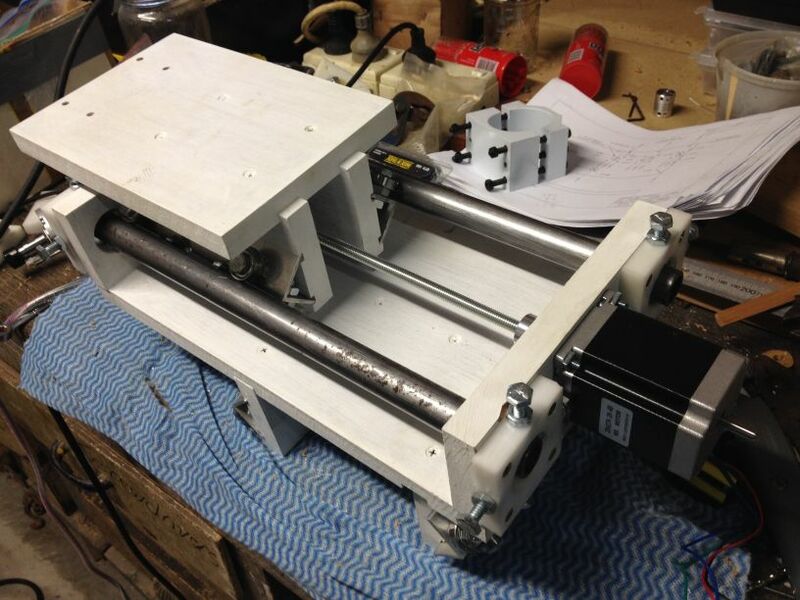 To enable further projects, I decided a while ago that building a CNC router would be a great idea. 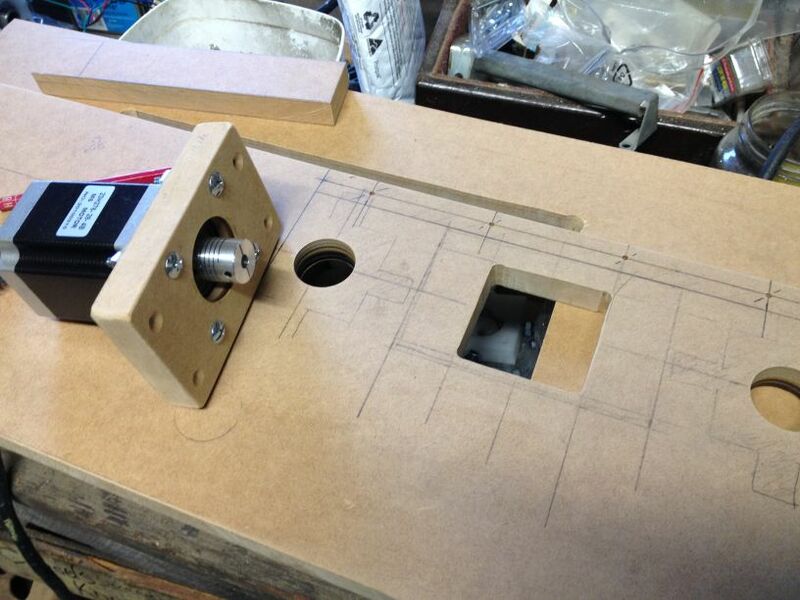 This would allow me to cut wooden bits for projects and engrave circuit boards. I decided on the tried and tested JGRO plans, available for free on CNCzone.com. The JGRO design is mostly made from MDF, which is cheap and easy to cut at home. It also features metal pipes and skate bearings for the linear rails, which are simple and cheap but subject to slight flexing under load. Still, for a cheap home built machine, this is not too much of a problem. I also salvaged an old computer with a parallel port and loaded LinuxCNC (free!) to control the machine. Construction is currently progressing, and I post again when I have something working. 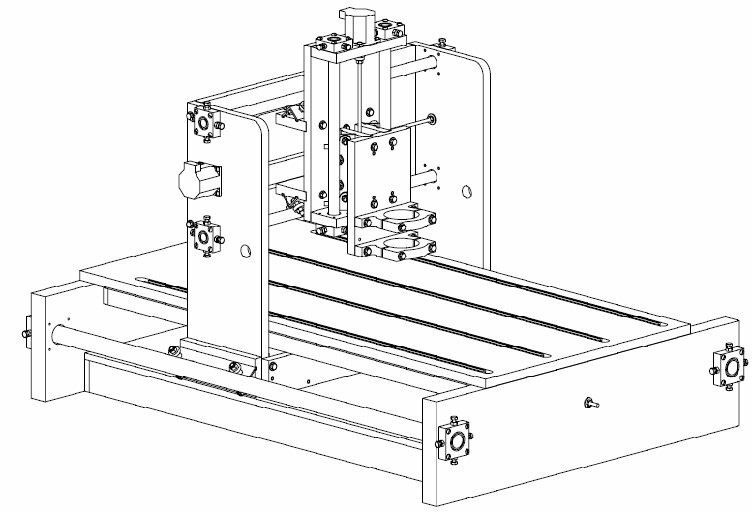 This entry was posted in CNC and tagged CNC, cnczone, G251, JGRO, NEMA 23, Stepper. Bookmark the permalink.